Anyone who has read my blog or my posts knows I am a huge fan of cake bunting. What is cake bunting, you ask? Mini banners you stick into cakes. 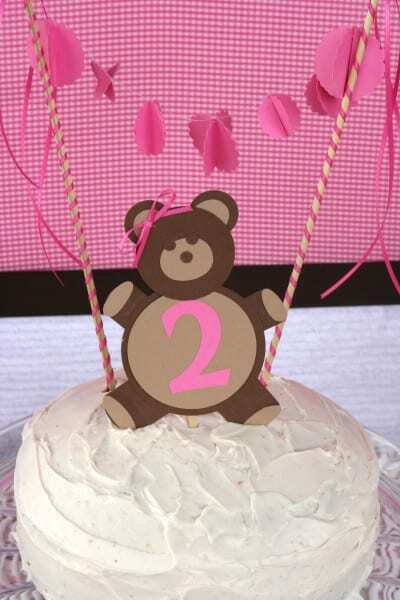 Like this adorable one Carey B made for her Teddy Bear Picnic. 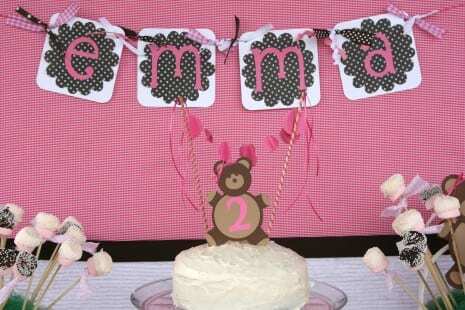 Cake bunting is such an adorable touch to your cakes. There are so many variations on the concept it is hard to pick just one. Here are directions for the one I made for my Teddy Bear Picnic. 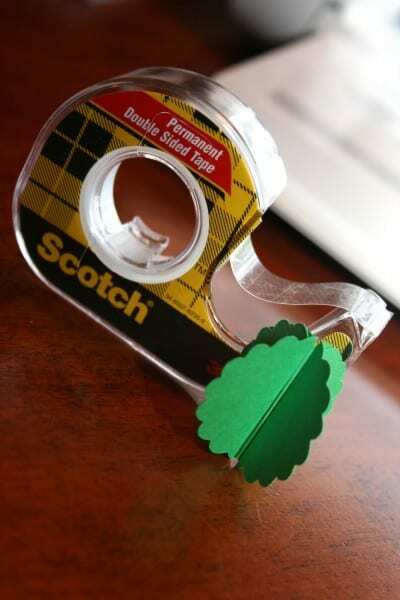 Scallop punch or die cut machine. Step One: Punch or cut your scallops. You will need two sizes. I used a 1 and a 1 1/4 on my Cricut. 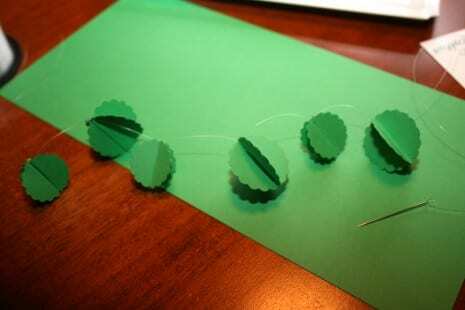 You will need 3 cut scallops for each 3-D scallop you are making for the bunting. Step Two: Take 3 scallops of the same size and fold in half. 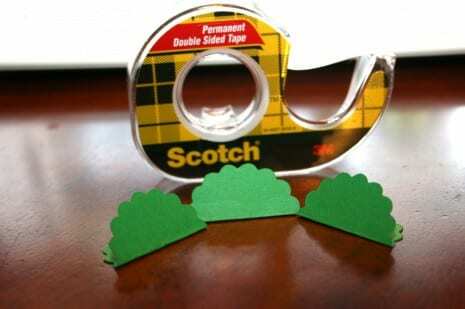 Using double sided tape (my best friend) and stick your scallops halves together. One side will be left unstuck. Step Three: Thread your needle with fishing line and begin "sewing" your scallops together. 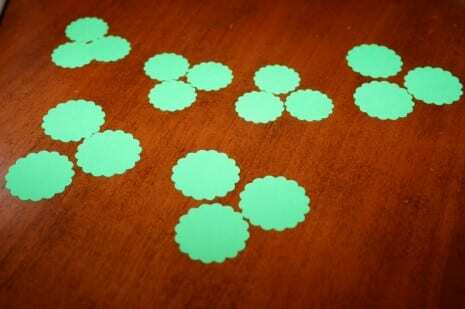 You will poke the needle through the top center of each scallop. KEY: Once the needle is through DOUBLE knot the top of each scallop so that it stays in place. 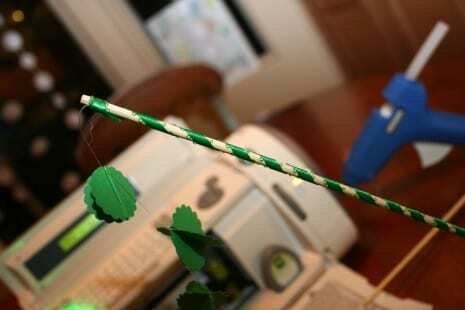 *You can also use thread I just like the floating in air look that fishing line or invisible thread achieves. Step Four: Double knot the end of your fishing line, with the scallops on it, to the top of a skewer. Place a dot of hot glue on the knot to hold it in place. 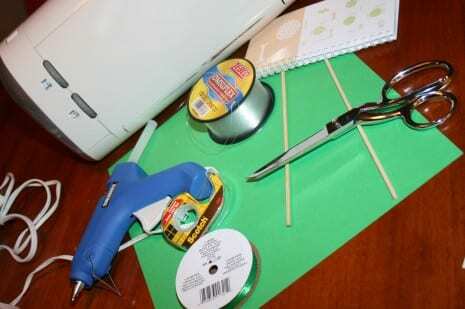 While the glue is still hot place the end of your ribbon there and begin wrapping the skewer. 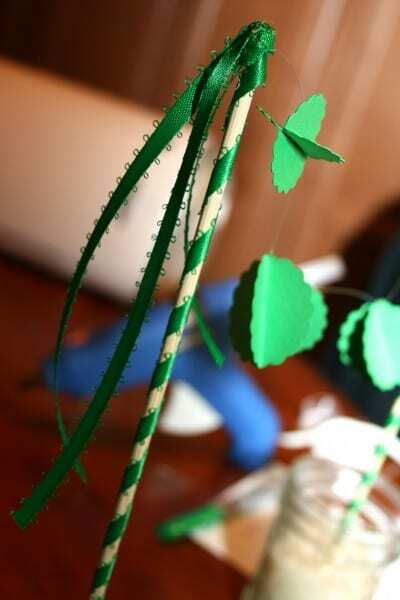 I left some of the natural part of the skewer showing to bring out those tones we were using throughout the party. But, I think it would be nice with a fully wrapped skewer too. Step Five: Repeat step four on the other skewer. 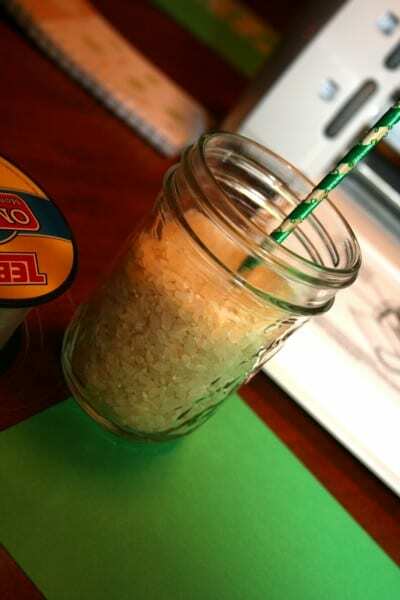 I use glasses filled with rice to hold my skewers up and help with with spacing. 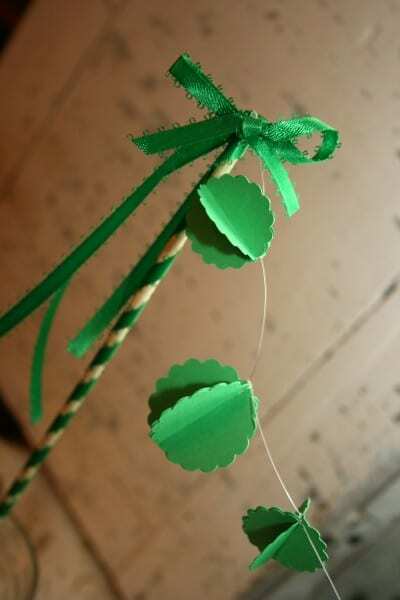 Step Six: Finish off the top of the skewer with trailing ribbons or a bow. Step Seven: Top your cake, step back and ENJOY your creation! Thank you so much, Carey, for putting this tutorial together! If anyone makes cake bunting, please send us a photo so we can post it. 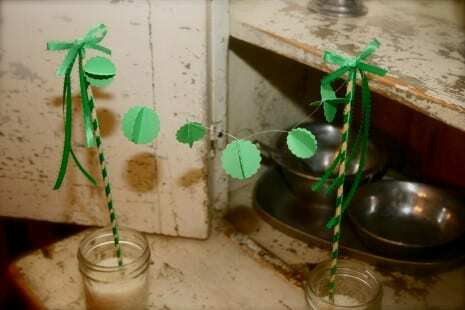 To learn more about Carey and read about all her crafting and party planning adventures please check out her blog, With Joy, and also check out her other gorgeous parties on our site.